The recipe for an incredible international adventure? Generously mix four cultures, two coasts, palm trees, snowy peaks, tiny villages, and one world-class city. The result? Our Pyrenees Mountains & Coast trip. This adventure packs a huge amount of excitement and culture into thirteen days in Spain and France. You’ll experience Spanish, French, Basque, and Catalan cultures – each proud, unique, and fascinating. You’ll climb past sparkling lakes and over high passes in Spain’s Pyrenees; you’ll hike through emerald forests to the Atlantic coast in French Basque Country; you’ll surf one of Europe’s finest beaches; and you’ll walk the fabled, lively streets of Barcelona. Doesn’t that sound like a delicious traveler’s stew? After arriving into Barcelona’s international airport, we’ll transfer to the high Spanish Pyrenees and the beautiful village of Espot. 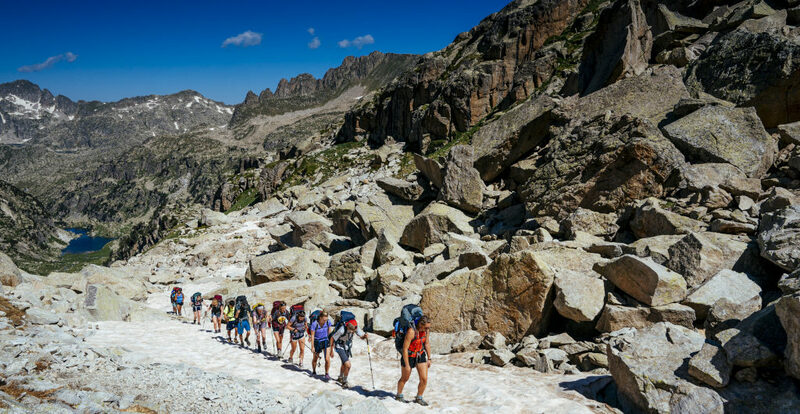 From our base in town, our Pyrenees Mountains hiking trip will set out on the famous Carros de Foc hiking circuit through Aigüestortes i Estany de Sant Maurici National Park. We’ll trek along the length of crystal clear mountain streams, past thundering waterfalls and sparkling alpine lakes, and through flower-filled valleys until we return, days later, to where we began. Around every corner the scenery is astonishing, delivering colorful vistas underneath the bright Catalan sun. We’ll get to know each other over hearty mountain meals and spend our nights in the simple mountain refuges that dot the national park. We’ll transit from the high Pyrenees to the foothills and the small French town of Sare, near the Atlantic Coast; after resting our hiking legs for a day, it’s right back on the trail – this time on the world-famous GR10 hiking trail that crosses the Pyrenees from the Mediterranean to the Atlantic. Sare is a beautiful, ancient village in the heart of Basque Country – both proudly French, and proudly Basque. The moist air feels almost tropical on the two-day hike from Sare to the sea, and our arrival at the end of the GR-10 in Hendaye, France will certainly be a cause for celebration at the beach! We’ll take advantage of Hendaye’s clean, wide beaches and perfect surf break as we spend a morning with professional surf instructors. Our afternoon in Hendaye will be spent completing a community service project and exploring this coastal French city. At the end of the trip, we’ll cross the peninsula by train to Barcelona. Here, we’ll explore and celebrate in the heart of this vibrant city – a perfect way to close out this cross-cultural Pyrenees Mountains & Coast adventure! How physically challenging is PMC? Given a rating of Challenge Level 7 (out of a maximum of 10), we consider Pyrenees Mountains & Coast to be an advanced hiking trip. We do believe that any moderately fit, motivated student who trains ahead of time can successfully rise to the challenge of this trip. Compared to similar hiking trips, we believe PMC is a step above our Northwest Explorer trip (because the group will hike longer mileage and will be carrying their full packs with them at all times) and slightly less challenging than our Alps Explorer (mainly because PMC is a shorter trip – the challenging terrain is comparable). The group will hike around 10 miles on their most challenging day, while their daily mileage typically spans 5-8 miles. Please note that all of Apogee’s Challenge Levels are not scientific and are subjectively calculated by the Apogee staff. How much training should my child do ahead of time? As PMC is one of our most challenging hiking trips, we have a training and preparation protocol which we share with enrolled families well ahead of the trip. Please contact the Apogee office for specifics regarding pre-trip training. Apogee’s tuition costs are meant to be all-inclusive and include all meal, accommodation, and activity fees. The most significant additional expenses on our Pyrenees Mountains & Coast trip will include travel to and from Barcelona, Spain, a sleeping bag and sleeping pad, a backpacking pack, and hiking boots. Parents can expect a phone call home once a week on PMC, usually corresponding with the group’s rest days. Students will also call home at some point on arrival day, depending on schedules and arrival times. In addition to needing a valid passport, we encourage you to coordinate travel with other attendees. To that end, we’re happy to put you in touch with other enrolled families from your region. 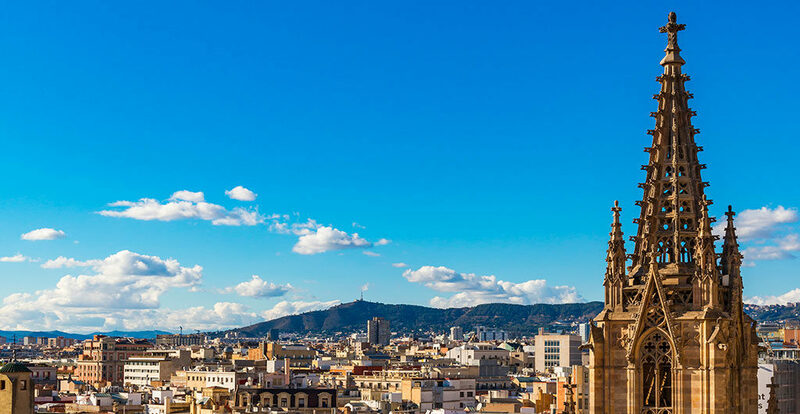 Please note that Apogee staff members do not travel with students; our trip leaders will already be in Barcelona on arrival day and will stay in Barcelona after the trip ends. Apogee staff and trip leaders will have a detailed flight itinerary for each student and will be at the airport to greet them on arrival; our staff will also accompany students to the airport to assist with departures. We will provide enrolled families with a Travel Information document covering details specific to traveling to and from Barcelona, including airport information and arrival and departure time windows. We know that international travel can be daunting – rest assured that regardless of flight cancellations or delays, we will always have someone on hand to assist with our students’ arrivals and departures. What luggage should my child check on the plane? What should be carried on? This question is addressed in detail in our Travel Information document for enrolled students. 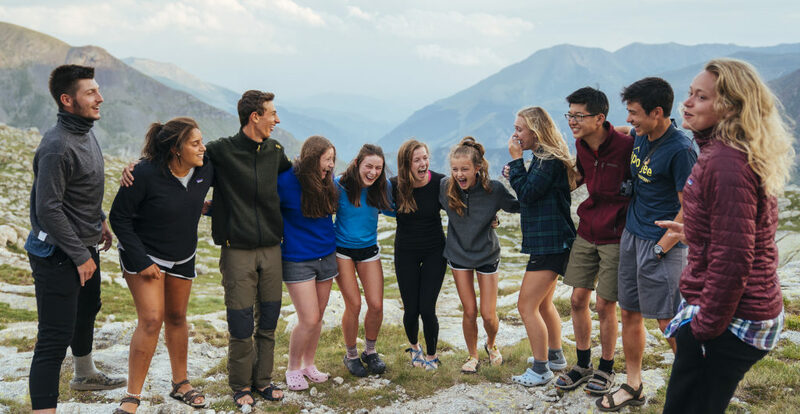 Generally speaking, however, your child will be checking a backpacking pack containing the majority of their gear, while carrying-on their sleeping bag, medications, and a few other travel essentials. Hiking boots should be worn on the plane in the event of a delayed or lost bag. Should I send my child to Barcelona with an international phone plan? We encourage families to send their child with a phone for pre- and post-trip communication. However, because Apogee does not permit the use of cell phones by students while on trip, we do not recommend signing up for a European phone plan. If you’d like your child to be able to use their phone in Spain on departure day, we recommend you be in touch with your phone provider about any international calling programs they have. We recommend “Travelpass” (Verizon) or “International Day Pass” (AT&T), which charge you a $10 fee per day of use in other countries. To make their weekly call home while on trip, your child will use their leader’s phone to call you over WiFi. We’ll likely recommend parents download a free app, such as Viber or WhatsApp, to facilitate calls home. Look for this information in the spring. No, this trip is not van-based. The group will utilize a private shuttle company and Spain’s terrific train system for their long-distance travel. Otherwise, they’ll be walking everywhere they go! This means that every pound matters – sticking to the packing list is essential. Their backpack should not be full to the brim upon departure, as they’ll need some room in the pack to carry group gear on occasion. Our PMC group will be camping for six of the twelve nights over the course of the trip, and each of those nights will be spent in established, front country campsites. They’ll spend the other six nights of the trip indoors (four nights in mountain hostels called refugis and two nights in a Barcelona hostel). Leaders will separate students by gender into tent groups, and will rotate those groups several times over the course of our trip. Students will share a tent with one or two other students. Our groups will have access to running water and showers every night of the trip.